Or to ask such a big hairy question in another manner: "How have Tucson's citizens and businesses fared since the Great Recession devastated our community a decade ago?" By the beginning of 2009, the Old Pueblo had been hit harder than most other US metro areas by bank and mortgage company scandals. But what, if anything, has helped our community's economic recovery and changed its course for the better over the last 10 years? While I am no more of a historian that most of you are who are reading this, I feel I must go back not just a decade but an entire century in time to answer these questions. That's how we might come to understand where Tucson has come from and where it is going. So please stick with me for a moment, while I seat you next to me in the Wayback Machine and take you to see the Old Pueblo as it existed and as some of its citizens regarded it in the last millennium. I recently opened the brittle, tainted pages of one of Tucson's first English-language publications that celebrated our sense of place—the Sonoran Desert—and promoted a distinctive identity for Tucson as a community. 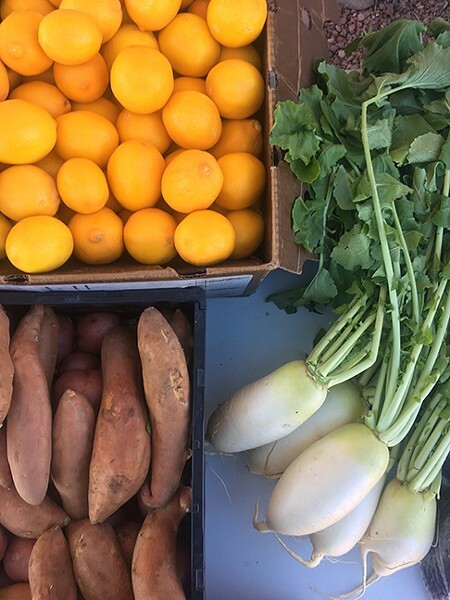 Local food box: Meyer lemon courtesy of Iskashitaa Refugee Network, sweet potato grown at Crooked Sky Farms and Daikon radish from Forever Yong Farm. It was called Plant World, and it was created and distributed on Tumamoc Hill by the staff of the Carnegie Desert Research Institute. Once you opened its cover and read its table of contents, you were hit with a full-page ad of jingoist boomtown hype. The ad encouraged its readers to "Keep an Eye on Tucson. No city in the Southwest enjoys greater prosperity or has a richer promise for the future!" Of course, even at that moment a century ago, many Tucsonans would have laughed and called the ad "pura mierda." Sure, the little town on the Santa Cruz had a fledgling land grant university, a railroad hub, and intermittent streams in its midst, but it was no utopia. Between the 1890s and the end of World War I, Southern Arizona had been hit by drought, rangeland overstocking, and water grabs by developers. Arizona historian Thomas Sheridan has reported that the 127,000 acres of food crop cultivated in the Arizona Territory in 1896 had dropped to 96,000 acres nine years later, a 24 percent decline. They would tell you that Tucson's boom town prosperity had yet to "trickle down" their way to fill up their bellies or their wallets. Now fast-track 100 years to when 20,000 jobs vanished from Arizona in less than a week as the mortgage scammers went belly up. Remember what it felt like when the banks closed, developers stopped selling desert lots, contractors stopped building homes and golf courses, and dozens of restaurants closed? With so few of their members retaining much of the hard-earned savings, there was less to go around for charities and non-profits. Many of them folded, as did Tucson's largest "wholesale hub" for reasonably priced bulk foods, the Tucson Cooperative Warehouse. The only organizations that had more business than usual were food banks and soup kitchens, whose staffs had hoped that shorter lines would be a measure of their success, not longer ones. By 2011, the image of Metro Tucson as a Sun Belt boomtown had all but faded as it joined the ranks of the eight most impoverished metropolitan areas in the entire country, and the five worst in the West. Levels of household poverty and food insecurity reached unprecedented levels. It was a time of "hunger weather." 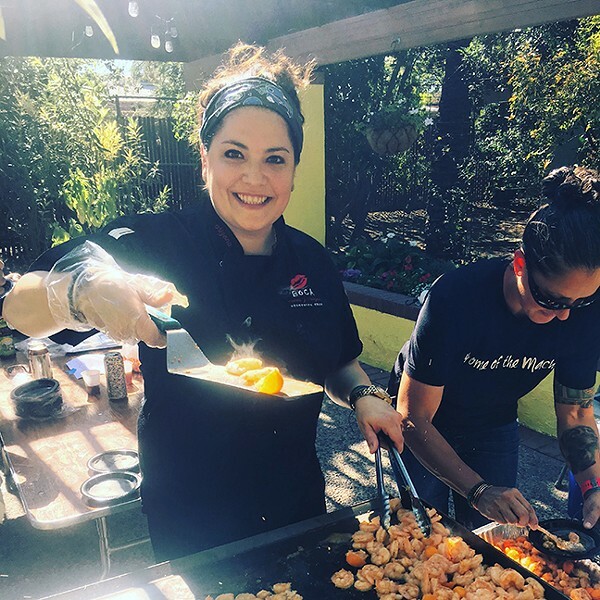 At the 2018 SAVOR Southern Arizona Food & Wine Festival, Chef Maria Mazon of BOCA Tacos Y Tequila serves up shrimp tacos splashed with kumquat courtesy of Iskashitaa Refugee Network. As Tucson's poverty expert Brian Mayer has reminded me, as late as 2015, the Old Pueblo was still lagging far behind other Arizona cities in its economic recovery. The American Community Survey found that household poverty inside Tucson's city limits remained painfully high (24 percent) compared to the state of Arizona as a whole (16 percent). South Tucson and certain neighborhoods on the city's edge were among the seven areas in the Tucson Basin declared "food deserts" by the USDA, due to their lack of a full-service grocery stores within walking distance of resident's homes. Curiously, most of these food deserts were found within 10 miles of the main University of Arizona campus, established in 1885 under the Morrill Act. There is a certain irony in having a ring of food deserts developed around a land grant university that was explicitly founded to assist Arizona citizens in meeting critical needs such as achieving food self-sufficiency in an arid landscape. Until the last decade, it appeared that the university had gradually abandoned its "local food self-security" mandate, hardly noticing the poverty and hunger surrounding its campus. Students themselves had to create a food pantry to address the food insecurity and poverty among many of its students and staff. "We're simply not seeing any significant decrease in need," McDonald said. "We still serve tens of thousands of people every month. So when do we as a society declare economic and moral bankruptcy, as clearly our economy simply doesn't work for the majority of people, as there is no equity of opportunity?" As this winter's partial closure of government agencies became the longest in American history, McDonald was reminded of just how vulnerable many Tucson families remain. "As the recent federal shutdown amplified even further, families have very little financial cushion or resiliency to weather even a short-term storm," he said. "That's not their fault, nor of their own making. That's the fault of the inequities baked into unfettered capitalism coupled with laisse faire governance demagoguery at all levels of government—as well as our society's wholesale disinvestment from any public good or interdependent commonwealth that really makes a difference in individuals' and communities' lives." And yet, McDonald suggested that I also seek out different perspectives from his collaborating organizations, "perhaps more uplifting ones, as clearly I'm in negative space at the moment." One of those I asked for a second opinion was chef and food educator-activist Rani Olson, who many credit for galvanizing efforts toward positive change in the school meals served in the Tucson Unified School District over the last several years. She now works for the outreach programs of the university's Department of Nutritional Sciences. Nevertheless, Olson takes no personal credit for assuring that children from low-income families receive healthier meals in their schools. Instead, she applauds the way many in our community were inspired by Michelle Obama's call to vanquish so-called food deserts in urban areas. "It's hard to talk about trends and successes in our food system over the past decade without paying homage to the magnitude former First Lady Michelle Obama had in shaping it," Olson says. Obama changed "the way we talk about and address health indicators, school food, school gardening, general food ways in our respective communities, advocating for the simple act of drinking water (and not soda), growing a garden, advancing conversations of equal rights and opportunities, building platforms to celebrate real foods and health in our every day—the list goes on." Olson then drilled down on what made Michelle Obama gain traction with these local efforts. "While snapping jazzy social media posts at one of her many garden harvests with kids and chefs alike, Mrs. Obama was strategizing with scientists, nutritionists, lawmakers, food corporations, government agencies, and public schools to build a healthier nation," Olson said. "She shifted the conversation, refined sets of values, and gathered resources to positively impact an entire generation with programs ranging from Let's Move!, Healthy Hunger-Free Kids Act, and Farm to School, to name a few." Olson said Obama's work set the stage for programs that continue to grow here in Tucson, including school gardening programs, food literacy education, and local produce being purchased for school lunches. "The work is not over, but today there's a whole heck of a lot less selling of the value of these programs than there was a decade ago," OIson said. One of Olson's colleague in Nutrition Sciences, Dr. Melanie Hingle, got to the crux of the issue for Tucson's food-insecure children. "Diet quality is the biggest single contributor to chronic disease burden, but it is also the single biggest opportunity for prevention," Hingle said. Hingle has been doing research with the Community Food Bank of Southern Arizona to develop ways to support families struggling with food insecurity to improve diet quality and reduce risk of diet-related disease. "Our work is producing what we hope will be a replicable model of diet-related disease prevention for food insecure populations which will be used as the basis for building a culture of health in southern Arizona," Hingle said. "[It's one] in which all Arizonans have the opportunity to make healthy choices consistent with their beliefs, customs and core values." At Barrio Bread, owner Don Guerra embraces old-school techniques and heritage grains. But in many ways, what has helped Tucsonans through the hardest of times was not its "formal economy" or "formal nutrition education programs"—the ones that government agencies can statistically track by the same indicators used through the country—but its informal economy. Tucson's informal food economy is hidden to many but very much alive. It is rooted in locally owned, mean-and-lean start-ups, like Sonoran hot-dog carts, food trucks, event caterers, shadetree mechanics and door-to-door yard maintenance men and tamale vendors. These businesses often fly below the radar of government economists, food safety monitors, tax collectors and even social media-based marketers. 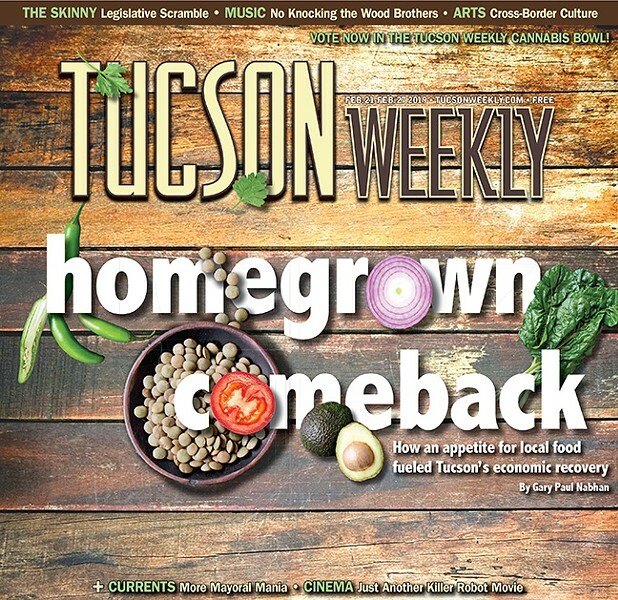 The ingenuity, tenacity and resilience of Tucson's food entrepreneurs have been the major factors in what has been gradually leading to the restoration and revitalization of Tucson's overall economy. They began their businesses with very little capital, and lots of sweat equity from family members. These are the tortilla makers, the prickly pear harvesters, the grillers of carne asada, the magicians of Santa Maria BBQ and dogueros of Sonoran guinis who work long hours with little or no insurance, sick leave or vacation time. And yet, because of them and others of many cultures who share a strong work ethic, Arizona's food micro-enterprises regularly place our state in the top two or three among all states in terms of entrepreneurial leadership. All this is to say that while much of Tucson may not be prosperous, our community is vigorous, tenacious and innovative in ways that few other metro areas can claim. Some 50 food micro-enterprises in the Tucson area now market to their neighbors at least 140 unique food and beverage products that are seldom seen anywhere else in the Southwest: mesquite flour tortillas, White Sonora wheat pinole, prickly pear nectar, chiltepin cold brew coffee, dried cholla cactus flower buds; and "Sonoran kimchi." Such products not only appear at high-end farmers markets; they are also found in the humblest flea markets and swap meets in the Tucson Basin. While these were the kinds of food system innovations that helped Tucson receive its UNESCO "City of Gastronomy Food Cultures" designation in December of 2015, many among us remained skeptical. Some were skeptical that Tucson deserved such an honor. Others doubted that the modest niche market demand for such locally produced, homegrown products could ever move the economic needle for those most marginalized by how our globalized, industrialized food economy functions. Still others were cynical that such recognition could only lead to gentrification, with elite restaurants and bars supplanting the more modest eateries like those in South Tucson. As Brian Mayer has repeatedly learned in "listening sessions" within Tucson's poorest barrios, the majority of Tucson families still cannot afford to eat out more than once a month at best. To be sure, such concerns and fears are indeed justified and are the ultimate litmus test of whether Tucson eventually reduces the disparities among its neighborhoods and classes, or whether it aggravates them. But the City of Gastronomy designation is not really the cause of Tucson's food system changes, good or bad; it is a lens through which we can track what is actually happening. 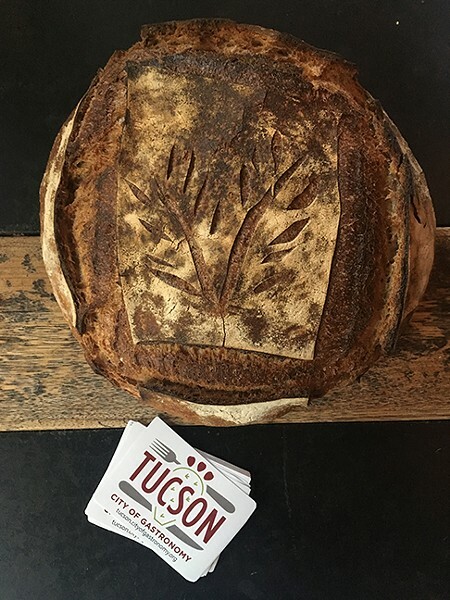 Whether you can only afford to eat out in Tucson once a year, once a month, or once a week, there is no longer any doubt that local food innovations are one of the few activities that has helped Greater Tucson begin true recovery since 2015. By most accounts, both food businesses and food justice initiatives in Tucson are now better supported than they have been for a decade. City of Gastronomy nonprofit board chair Jonathan Mabry has determined that during the 12 months from October 2017 to October 2018, 2,000 new jobs were created in restaurants and bars in Pima County. Tax revenues to the city of Tucson from restaurant sales are up an average of $56 million per year since the City of Gastronomy designation, a 5 percent increase. Let's focus on exactly where this economic recovery has occurred, even though it may not necessarily look like long-term Plant World's pipedream of "greater prosperity" or "richer promise." Tucsonans now enjoy 76 percent more food and beverage festivals (82) than we had prior to the UNESCO designation; 37 percent more craft breweries; 14 percent more bakeries; 11 percent more mobile food vendors; and 18 percent more caterers. These kinds of businesses are not just for local foodies or gourmand tourists. They are scattered in neighborhoods all over the metro area and employ Tucsonans of all educational levels, races, faith and ethnicities. But when you are out of the Wayback Machine and back on your own bicycle, in your own low rider or pickup truck, drive around and see what Tucson now has that it did not dream of even two decades ago: 24 free seed libraries (more than any place in the country); 20 farmers markets; 20 school gardens; 18 culinary education programs; 17 retailers of locally grown and locally processed foods; 16 discount produce markets; and 10 gardening and healthy eating classes for home cooks. There is something far more impressive about all this than the number of new businesses and the jobs they create. Some of the most interesting innovations include the Pima County Public Library's free seed libraries and Trees for Tucson's delivery of 180,000 fruit and shade trees to low-income neighborhoods, community centers and prisons in the Tucson Basin. Such voluntary and philanthropic efforts have given Tucsonans free or affordable access to seeds of more than 2,020 named varieties of 130 cultivated vegetable, grain and spice crops; 240 species of wild, native edible plants; and more than 200 varieties of domesticated fruit and nut trees, berry vines and edible succulents from deserts around the world. No city of comparable size in the country can claim such levels of food biodiversity found in its midst. This diversity helps meet not only the nutritional and culinary needs of the many indigenous and immigrant cultures in our community. It also provides opportunities for intergenerational and cross cultural exchanges around a common table. "When I first found out I was moving to an internationally recognized food city I was pretty excited for the great restaurants and food culture," Dare says. "But I'm learning that our UNESCO designation is not just about great tacos, but all that goes into them. Flowers and Bullets is a prime example of how, in Tucson, food is a means to pass on culture, push back against inequity, celebrate our place, and promote togetherness." As the words from the song "For What It's Worth" proclaimed to social activists a half century ago, "There's something happening here, but what it is ain't exactly clear..."
What we do know is that we have entered into an unusual moment in Tucson's history—one that has garnered both national and international attention while not denying any of our persistently nagging problems. It is up to us as eaters, drinkers, gardeners, foragers, teachers and cooks to see what can come from all this heightened attention and ramped-up activity. Every time you choose what to eat, you are making tangible economic and political choices about the future of Tucson and its food system. It's in our hands now. It's up to us to determine who (and how many) should benefit. You have the power to help shape the outcomes—and to do your part, all you have to do is choose to eat local, healthy, delicious food. Gary Paul Nabhan first moved to Tucson in 1977, and has been involved in grassroots, multicultural efforts to diversify Tucson's food system ever since. 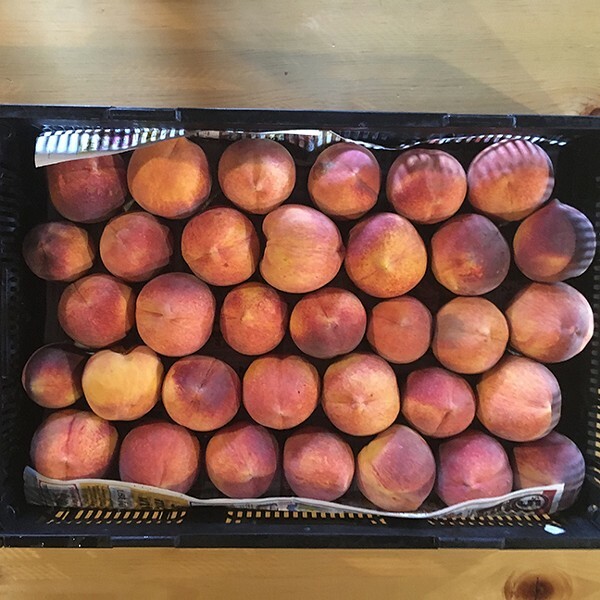 A co-founder of Native Seeds/SEARCH, the Center for Regional Food Studies and Edible Baja Arizona magazine, Nabhan is a Secular Franciscan brother and orchardkeeper who now lives in Patagonia, Arizona. This article is largely excerpted from his new book Food from the Radical Center, available from Island Press. Catch Nabhan at the Tucson Festival of Books: 4 p.m. Saturday, March 2, at Science City and 1 p.m. Saunday, March 3, at the National Park Experience.